We've heard plenty of rumours that suggest Apple is building its own car, but so far the project has been kept under wraps. Until now, that is. A new report may have proof that the so-called iCar is already set for the test track. The latest comes from The Guardian, which managed to get hold of internal Apple documents. The paperwork revealed the iPhone maker is scouting locations in the San Francisco Bay area to puts its self-driving electric car to the test. And there's one place that may fit the bill for Apple. It's called GoMentum Station; a disused naval weapons station that will soon be operated as a private self-driving car test track guarded by the US military. The site reportedly includes some 20 miles of paved highways and city streets, making it one of "the largest secure test facility in the world" complete with a military checkpoint. It's also said to be the same place where Mercedes-Benz and Honda have tested their own self-driving cars. While Apple declined to comment, a spokesperson for GoMentum parent company Contra Costa Transportation Authority confirmed that the company had shown interest in using the site. "We had to sign a non-disclosure agreement with Apple," CCTA's Randy Iwasaki said. "We can't tell you anything other than they've come in and they're interested." The documents also reveal the location of Apple's top secret automotive branch, which is based in an unassuming building a few miles away from its Cupertino complex. We recently heard that Apple and BMW met in 2014 to discuss a partnership, but as far as we know, the deal is off. 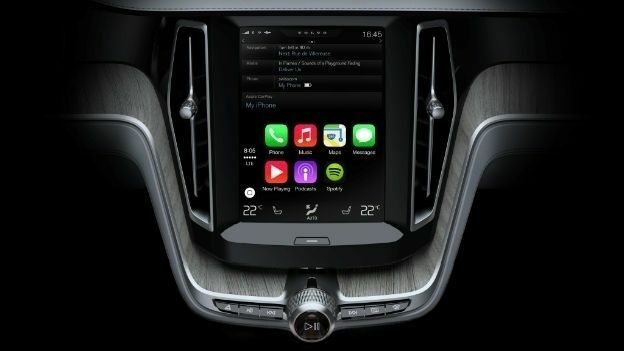 With the iCar all but confirmed, what do you want to see from Apple's debut vehicle? Let us know in the comments or hit us up on Facebook.